Steam distilled water is produced by a completely natural process: simple heating and cooling, like earth's natural rain process, resulting in a product with completely pure qualities. This is because natural processes are at work in the distillation system - heat, steam and gravity. Steam is always produced by the boiling process of distillation while gravity is always on the job, separating dissolved solids from the steam. 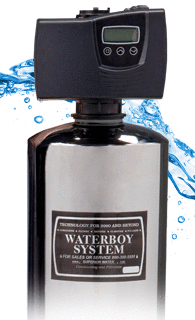 A QUALITY water distiller is capable of removing all FIVE major categories of water pollution. "Distilled water is the greatest solvent on earth. (It is) the only water that can be taken into the body without damage to the tissues. What we as scientists and the public have never realized is that minerals collected in the body from water are all inorganic minerals, which cannot be assimilated (digested) by the body. The only minerals that the body can utilize are the organic minerals (from fruits and vegetables). All other types of minerals are foreign substances to the body and must be disposed of or eliminated. Today, many progressive doctors prescribe distilled water to their patients. All kidney machines operate on distilled water." - Allen E. Banik, M.D. Author, "The Choice is Clear"
"The greatest damage done by inorganic minerals (hard)---plus waxy cholesterol and salt---is to the small arteries and other blood vessels of the brain (75% water). Hardening of the arteries and calcification of blood vessels starts on the day you start taking inorganic chemicals (and minerals from tap water) into our bodies." Dr. Paul Bragg, N.D. Ph.T., from his book: "The Shocking Truth About Water"
"Distilled water is the purest form available. Distilled water helps to excrete excessive heavy metals from the body." "There is only one water that is 100% clean, steam distilled water. No other substance on our planet does so much to keep us healthy and get us well as water does." Dietary Wellness; 1993 Dr. James Balch, M.D. In order to get truly clean water with distillers, you need to have a very high quality unit! The unit MUST use GAC in a pre-filter. Bottled distilled water gets contaminated upon packaging. You must have a home unit. In our opinion, in general, home distillers are a good thing to have in your home if someone is ill. It is very pure. And affordable. Unfortunately, most of these home units are very unpractical for daily use for an entire family. Most of these units require 4-6 hours to obtain the gallon or less in the receiving pitcher. Distilled water certainly has is place, especially when ill with disease. However, the power consumption, noise, limited water supply, high maintenance of the boiler pitcher make high-quality filtration the more economical, simple, long term solution. The question of pH always comes up. The theoretical pH of highly purifed water is 7.0. However, most distilled water will have a pH that is slightly acidic (less than 7.0) due to the presence of dissolved carbon dioxide (CO2) from the atmosphere, and also perhaps residual contamination from the source water. For those interested in keeping their own pH balance, this is a drawback. More about pH of distilled water. See high pH water here. One other reason we DO use distilled water is when we are "creating" our own water. Freshly distilled water is "void" of any "influences" yet. No poisons, no minerals, no energy, no structure, no magnetism, no life. This makes it perfect for a "water structurer" like our Vitalizer Plus, which literally brings the distilled water to life, bringing you health and vitality. See more about structured water here. Each year 1.2 trillion gallons of untreated sewage, storm water, and industrial waste are dumped into US water. - "How Infastructure Makes Water Work for Us." In Urban Green: Architecture for the Future. According to Environment America, 226 million lbs. of toxic chemicals were dumped into 1,400 waterways of the United States in 2010 alone. The benefits of �hexagonal� water are well documented: VItalized water is great for activation of enzymes, immune system support and greater metabolic balance.